We are huge fans of David Walliams - don't tell the other judges but he's our favourite on Britain's Got Talent, our bookshelf is packed with his best-selling books and ever since Rat Burger was on our screens over Christmas, it feels like we've been watching it on a daily basis. So when we heard that Gangsta Granny was heading to Newcastle's Theatre Royal, we jumped at the chance to review the show. David Walliams has an incredible ability to tell stories that appeal to the whole family and I was confident we'd be in for a fantastic night. We took our seats in a packed out theatre and waited for the 2 hour 15 minute show to begin (as a side note, I love how the Theatre Royal has booster seats available for kids - simply ask a member of staff if you'd like one). 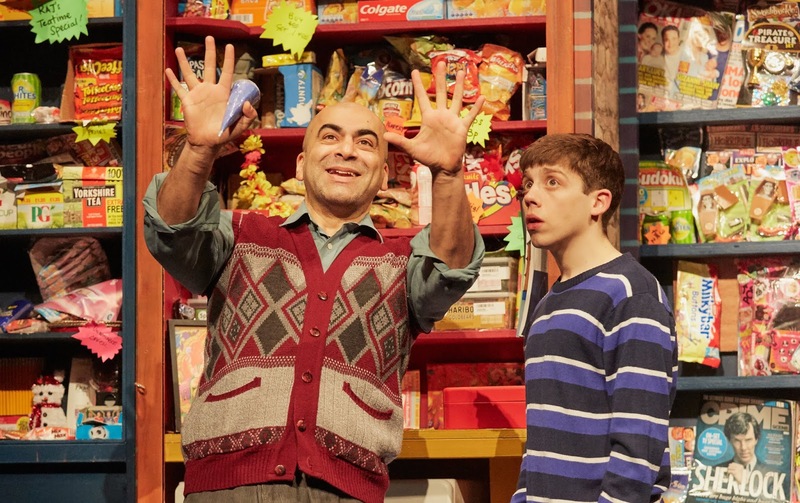 If you're not familiar with the story, Gangsta Granny tells the tale of Ben who is forced to spend every Friday evening with his granny whilst his parents go out dancing. As much as he loves her, playing Scrabble and eating bowls full of cabbage soup is not an 11-year-old's idea of a fun Friday night in. Granny gets wind of this (quite literally) and hatches a plan to make Ben's Friday evenings a little less boring. It turns out that Granny used to be a Gangsta! Ben (and the audience) are enthralled with tales of riding elephants to escape capture, bear attacks, Russian palaces and dodging gunfire - all beautifully and skillfully retold on stage - there were so many weird and wonderful characters appearing on-stage that we really didn't know what to expect next! I won't ruin the main plot for you as it's something that will keep you guessing and I wouldn't want to spoil this but the second half is lots of fun, with a stage full of familiar characters we all recognise from our own communities and ends with a very poignant message. I did not expect to leave the theatre with mascara stained cheeks - take your tissues. 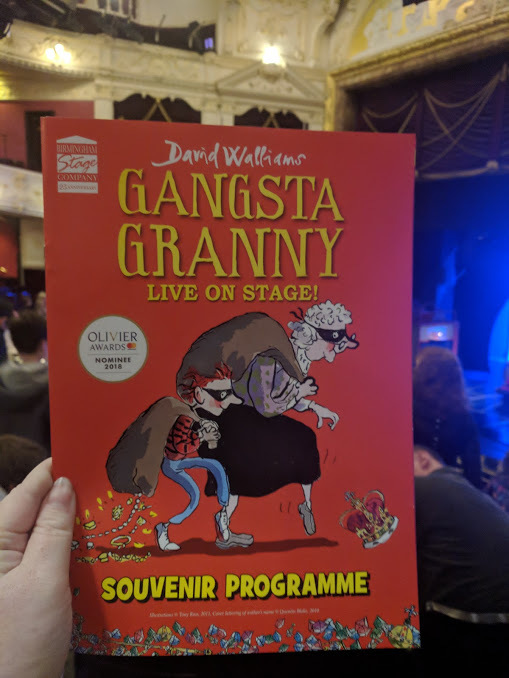 Gangsta Granny did feel a teeny bit long in places - especially the first half so for this reason, I'd probably recommend the show for ages 5-12 plus their grown-ups and grandparents. If you get the chance, definitely take the older generation along - I think they'd love it. Expect giggles, tears, boos and a funny surprise during the interval - Gansta Granny really has it all. There are quite a few references to Strictly Come Dancing in the show so if you're a fan, you'll love it even more. I left thinking Harry (who is almost 12) might have thought the show was a little childish and something he was a little too cool for but he honestly loved it as much as his younger siblings. It's definitely a show for grown-ups too with so many references to modern life, parenting, families and the neighbourhoods we live in - as we left the theatre, both parents and their children were full of praise, I did not hear a single bad word. One dad behind us stated 'well that was fantastic wasn't it' to which his son replied, 'I loved it' which I really think sums up the whole experience. 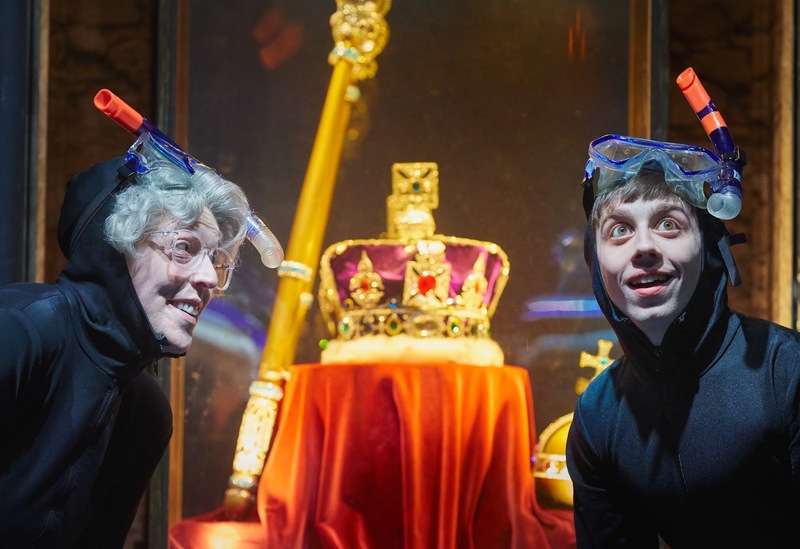 Producing a show for older children that isn't full of slapstick humour reminiscent of a panto and actually has a meaningful message running through its core is no easy task but Gangsta Granny has achieved this perfectly. 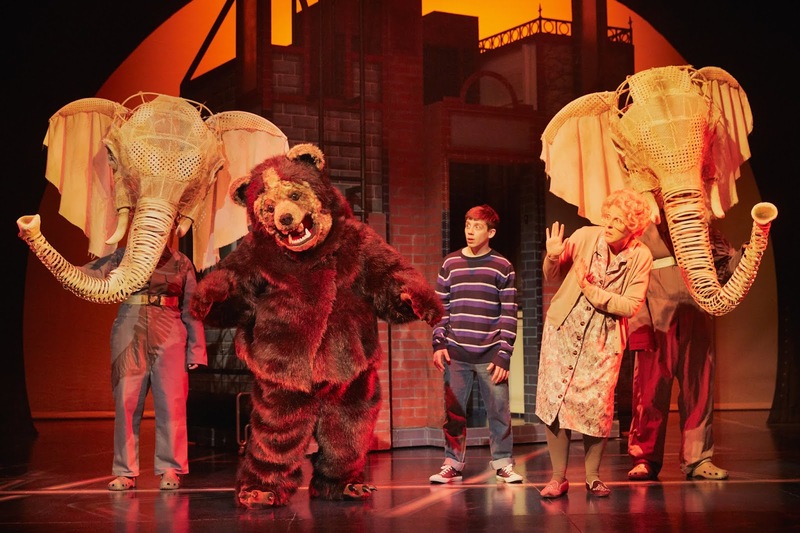 Although David Walliams does not star in any way, I could hear his voice shining through the clever dialogue and storytelling and along with very clever staging, we'd give this show a solid 8/10 and would definitely recommend as a half-term treat for children aged 5+ and their families. There are a few tickets still available via the Theatre Royal website here. Awesome! Granny had such a great time!